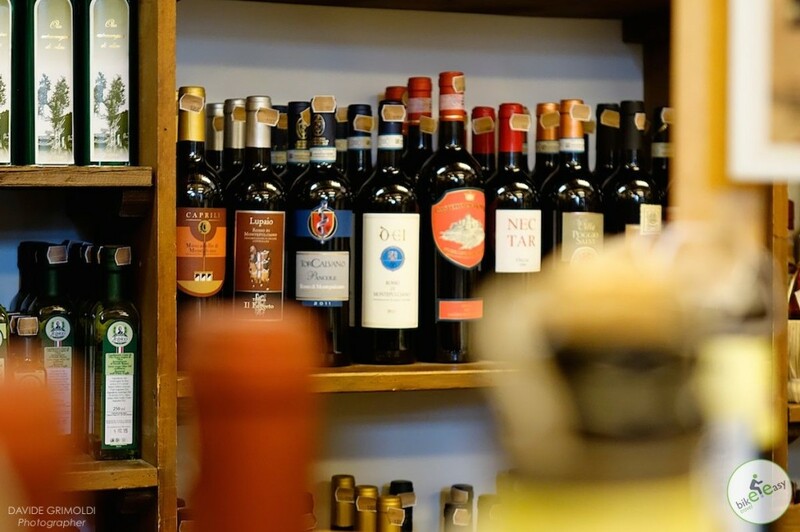 After a private transfer from Florence, your guides will welcome you with a light lunch at the hotel where you’re going to spend the first two nights. After a briefing on the use of the e-bikes (bike fitting, safety, and map review), we set out on our first ride through the surrounding countryside. We’ll cycle to San Gimignano, with its many towers (World Heritage Site). Check-in at the hotel La Collegiata where dinner will be served. 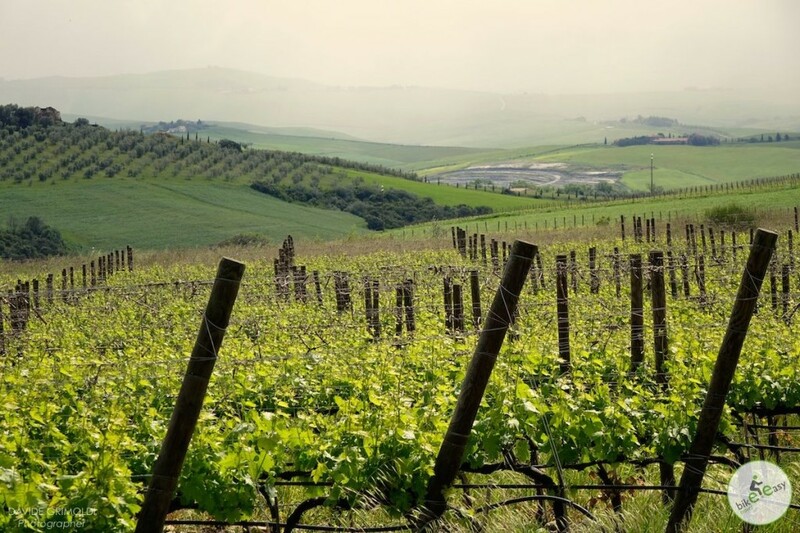 A ride among beautiful hills will take us to the Winery Cantina Guicciardini Strozzi to taste, among other wine products, the famous “vernaccia di San Gimignano”, a delicious dry white wine. Back to San Gimignano, enjoying the amazing landscape. 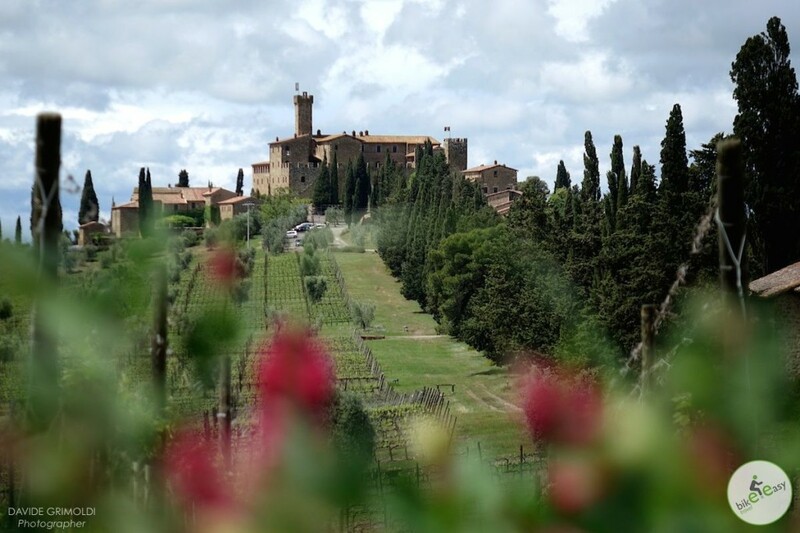 Rest at the hotel and later transfer to Monteriggioni, a fascinating medieval walled town, with its historic well and traditional Tuscan buildings. We’ll have dinner at Ristorante il Pozzo where we taste the well-known “crostini” and the excellent “Fiorentina”. After breakfast, we move by transfer to Torre a Castello and we visit a cheese maker and taste the typical “pecorino” cheese. 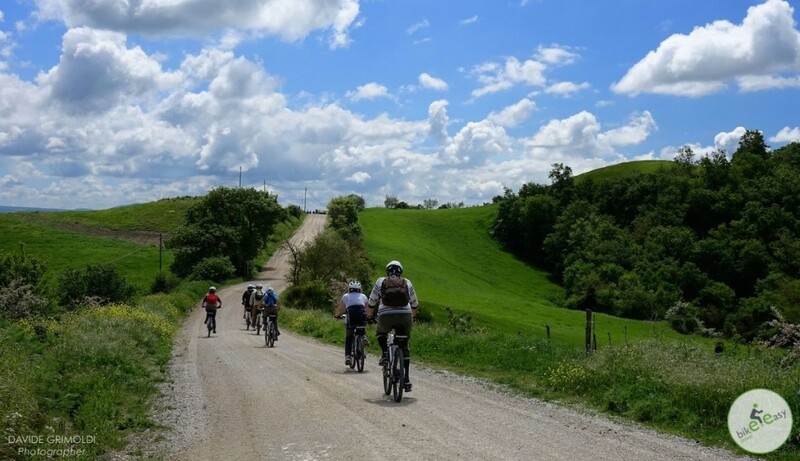 Here we start an off-road track called Eroica, a cycle race that takes place every spring: this is an exciting and breathtaking experience as the landscape opens up as we ride along the bare ridges of the Crete Senesi, one of the most photographed roads in the world. Stop at San Giovanni d’Asso for a quick lunch. After lunch we’ll ride along a beautiful off-track road to Buonconvento. 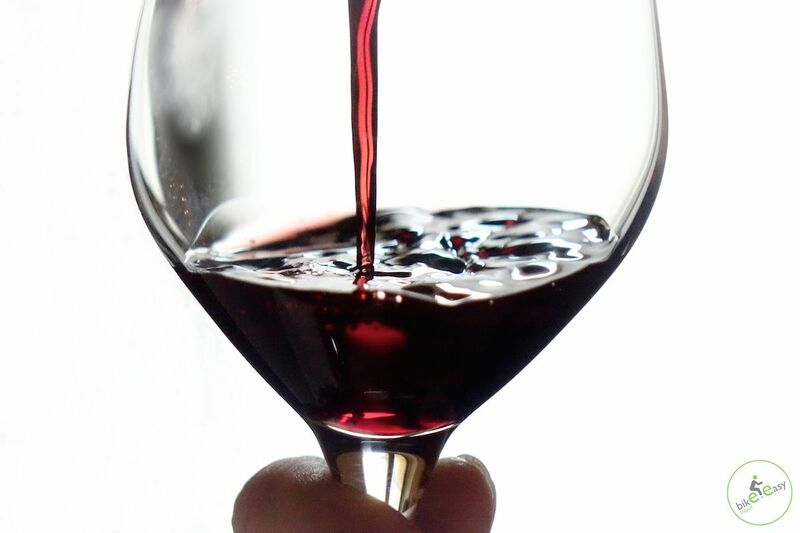 Visit of the medieval city and visit to Mozart winery. Transfer to the hotel Castello della Velona where you’ll enjoy an unforgettable dinner. 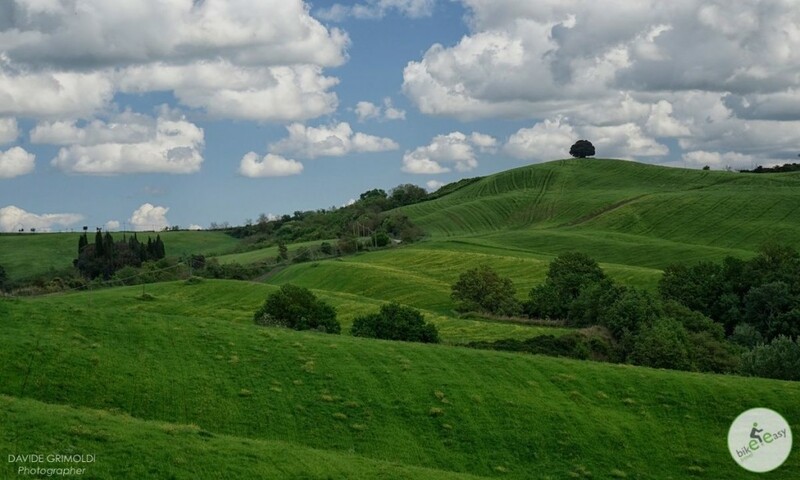 We’ll ride to Castelnuovo degli Abbati, then we will visit the Romanesque Sant’Antimo Abbey and cycle through a beautiful countryside close to Sant’Angelo in Colle, a tiny village on the hill facing the Brunello winemaking region, stopping at the well-known largest Brunello winery of Castello di Banfi. 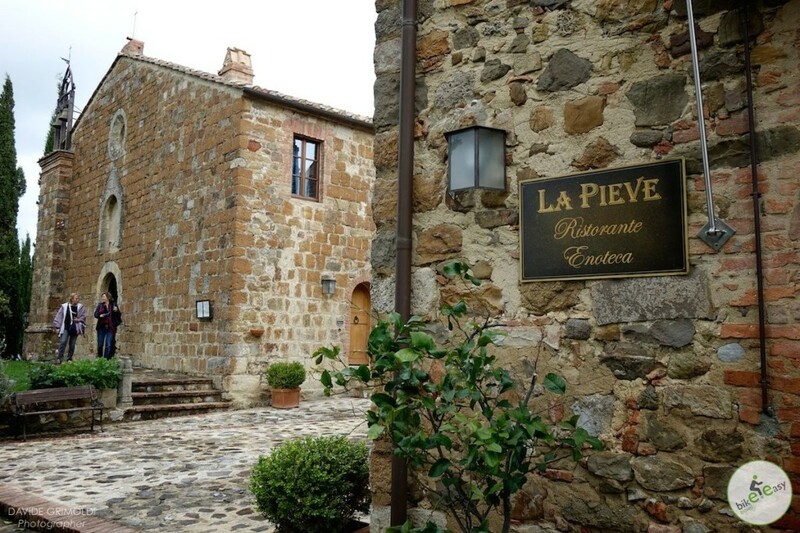 After 2 km we reach La Pieve, a delightful typical Tuscan “borgo” dating back to the 13th century, with an excellent restaurant where we have lunch. In the olive harvesting season it is possible to taste the different types of oils and delightful food accompanied by olive products. Through easy off-road tracks, we’ll ride up to Montalcino and then back to the hotel. You can end day with a nice massage in the Spa or at the swimming pool. Dinner at Montalcino, in a typical restaurant. 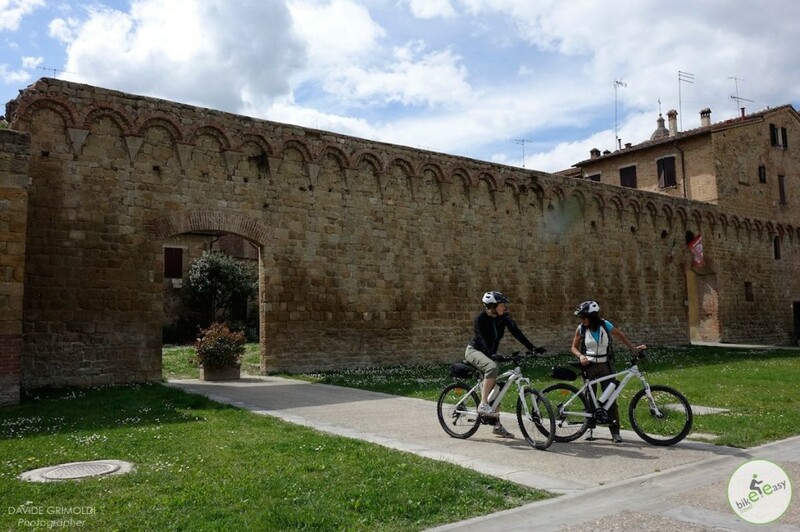 We’ll cycle southwards through off-road tracks in the middle of the countryside, riding few kilometres of the Eroica track, and reach Pienza, a rare example of Renaissance “ideal city” design. The city is a World Heritage Site. Quick snack with excellent local food products. From Pienza we cycle down through the hills of Val d’Orcia to the interesting village of Bagno Vignoni for a lunch in the antique “borgo”. After, we ride up to Vignone and then down to San Quirico d’Orcia, to visit the medieval city hall and main church. Back to the hotel and dinner at Castiglione d’Orcia. 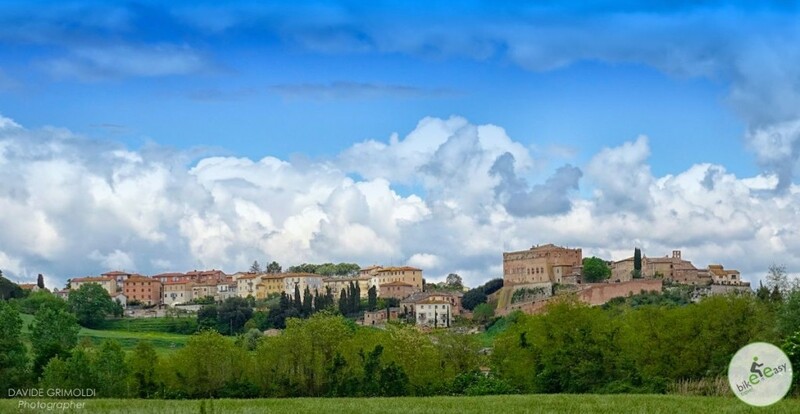 Transfer from the hotel to Montalcino, where we visit the imposing 14th century Rocca (fortress), stroll along the narrow streets and browse the picturesque shops. Then transfer to Rome or Florence, where our trip ends.